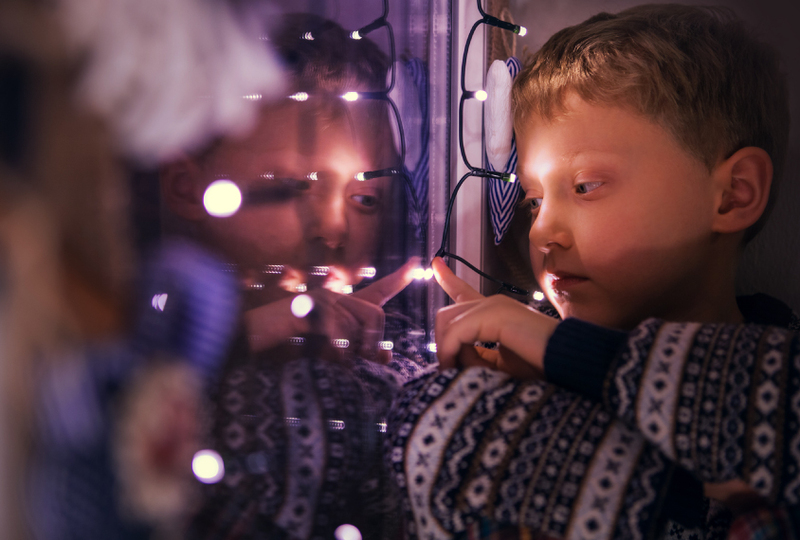 Dazzling display: Children with autism often show unusual sensory behaviors, such as a fascination with lights. Unusual sensory responses, such as extreme reactions to sound or touch, are common among children with autism. An existing measure of these behaviors, called the Short Sensory Profile, was developed for typical children and doesn’t assess sensory features that often crop up in children with autism. It also offers no information about the extent to which sensory sensitivities interfere with a child’s life. In a new study, researchers tested a novel 50-item questionnaire that addresses these shortcomings. The Sensory Behavior Questionnaire is designed to assess sensory sensitivities and quantify their impact in children with learning disabilities or autism. In the questionnaire, parents rate how often their child shows particular sensory behaviors, such as an attraction or aversion to bright lights or a lack of response to pain. They can also indicate the degree to which the child’s reaction to the stimulus causes problems, such as an inability go to places that have neon lights. The survey generates separate scores for the frequency and impact of sensory behaviors, as well as a total score that combines the two. The researchers gave the questionnaire to parents of 66 children with autism and 70 typical children, aged 6 to 17 years. The parents also filled out the Short Sensory Profile and two surveys probing core autism features and anxiety. The children with autism scored lower on the new survey than controls did: They engage in sensory behaviors more often than controls, and these behaviors are more disruptive for them. Severe sensory features tend to go along with high anxiety levels in children with autism. Based on the results, the researchers could distinguish between children with autism and controls 87.5 percent of the time. The findings appeared 17 February in the Journal of Autism and Developmental Disorders. The children’s scores also tracked more closely with the severity of core autism traits than did their results from the Short Sensory Profile. The researchers plan to test whether the new questionnaire can distinguish between children with autism and those with similar conditions, such as attention deficit hyperactivity disorder.